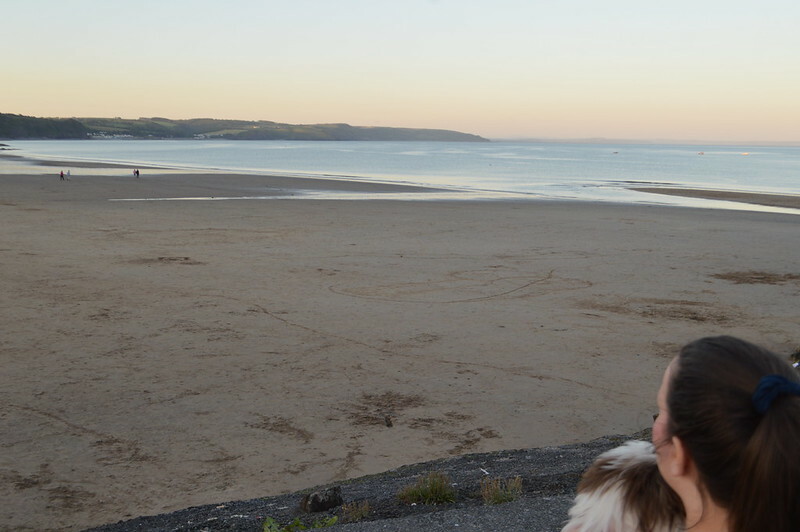 West Wales is a place that holds a lot of special memories for me. My first family holidays were spent in my nan's caravan in Saundersfoot and Martyn (husband-to-be) and I had out first weekend breaks there together. 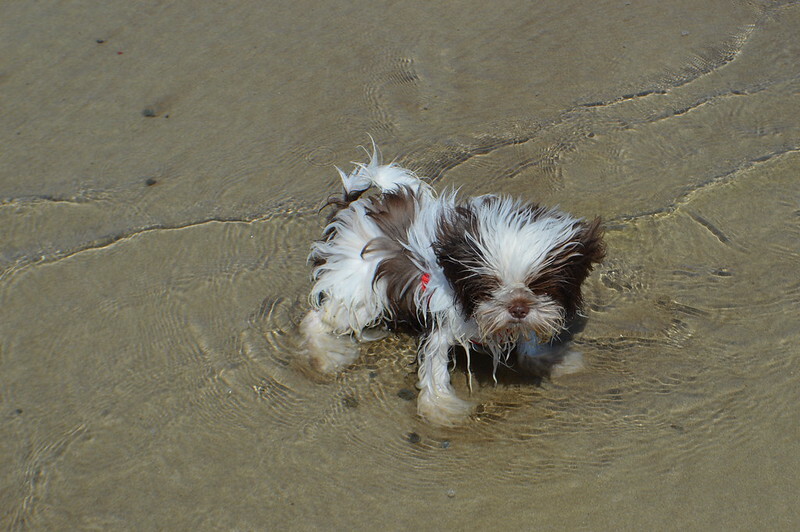 It seemed only right that we took Coco to West Wales for his first little holiday. We were lucky enough to have a long weekend together during the heatwave we had a couple of weeks ago. 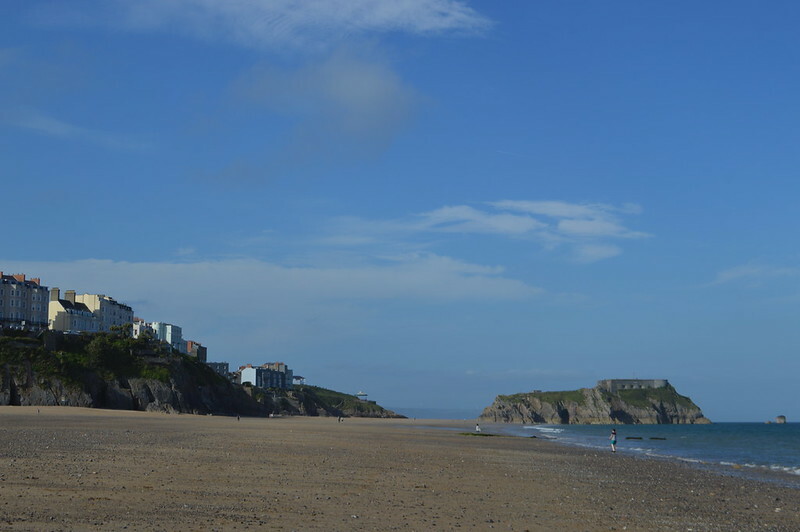 It felt like we were in the south of France rather than on the Pembrokeshire coast during our trip. 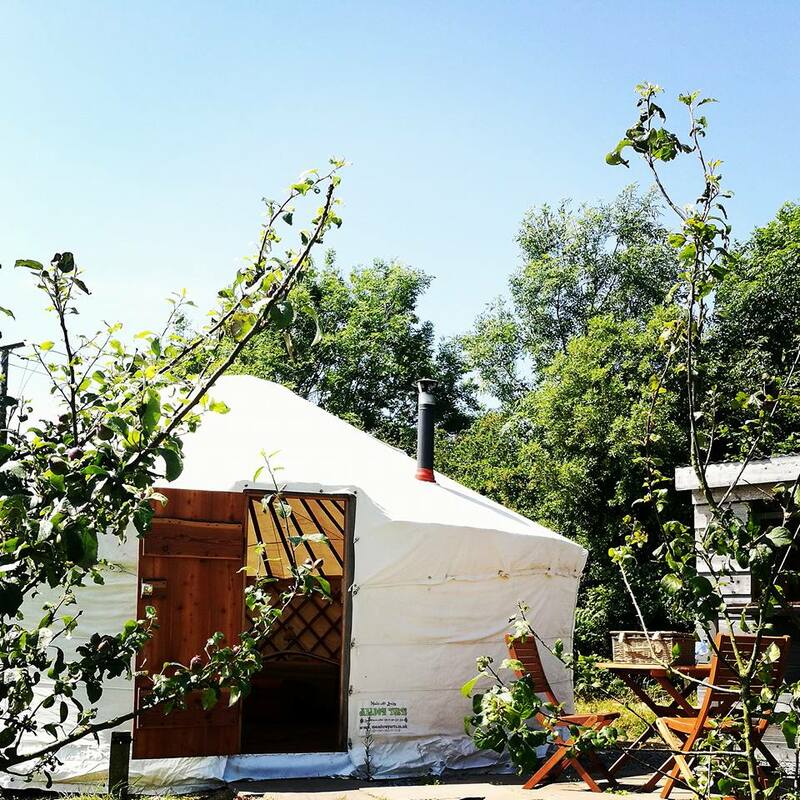 It seemed like a lot of hassle to set up our tent for a two night break so we opted to stay in a yurt just outside Tenby. The Apple Camping site had everything we needed including a shower block with fridges and a kitchen. We also had a tap and little covered area with a hob right next to the yurt. The yurt was really spacious and would easily fit four people/a small family. 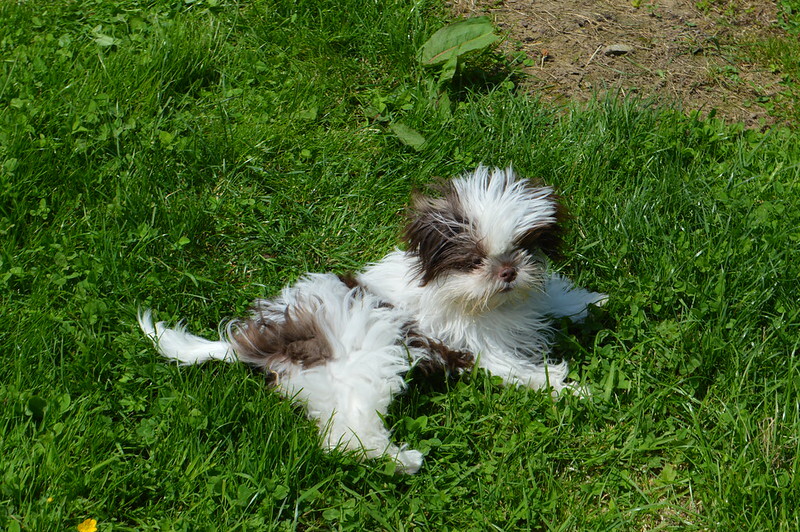 Coco loved running around in the grass outside -we only have a small yard at home so it was lovely to see Coco enjoying the freedom of a big field. 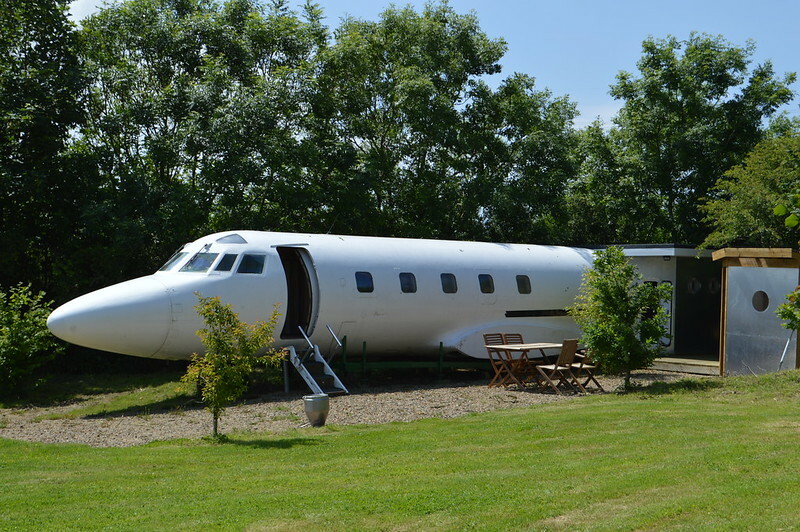 The camp site was also home to a former private jet that you can sleep on, a showmans caravan and they are currently in the process of building a UFO! It was a lovely setting and I will return for a longer stay in the future, it was a real shame to only have a weekend there. As we only had a weekend in West Wales we didn't try and cram too much in. 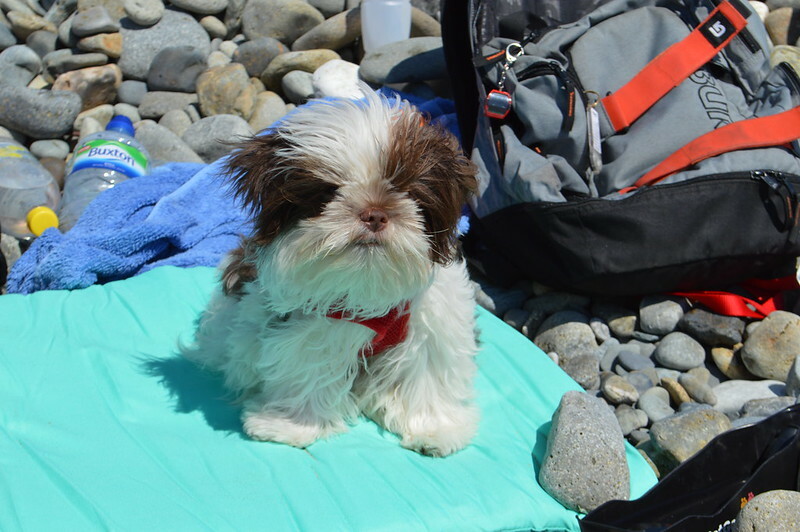 We took Coco for his first swim in the sea, he wasn't keen... but he did love running along the beach and sharing an ice cream with us. 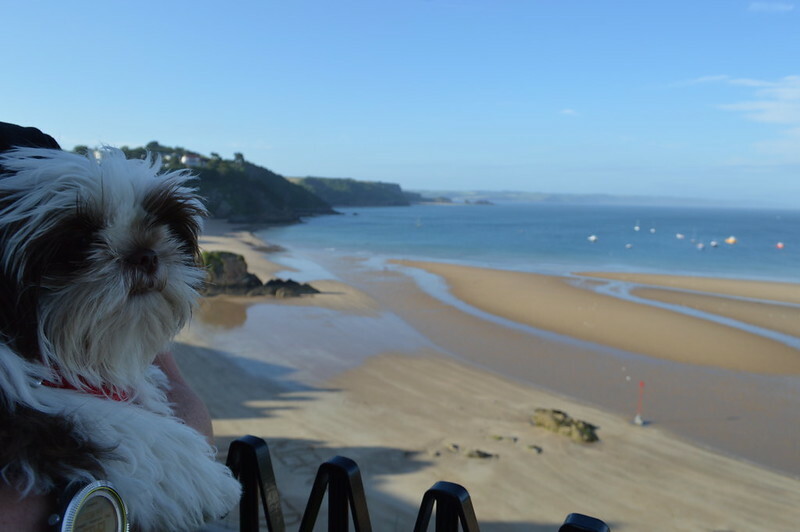 There are restrictions on where you can take your dog in the high season from May to September so I recommend checking the Visit Pembrokeshire site before you head off to a beach. We had a huuuge portion of fish and chips from Fecci's in Tenby which I can highly recommend - the light and crispy batter was perfection! Marina fish and chips in Saundersfoot is also pretty good but a tad expensive as they try to use only local and fresh ingredients. 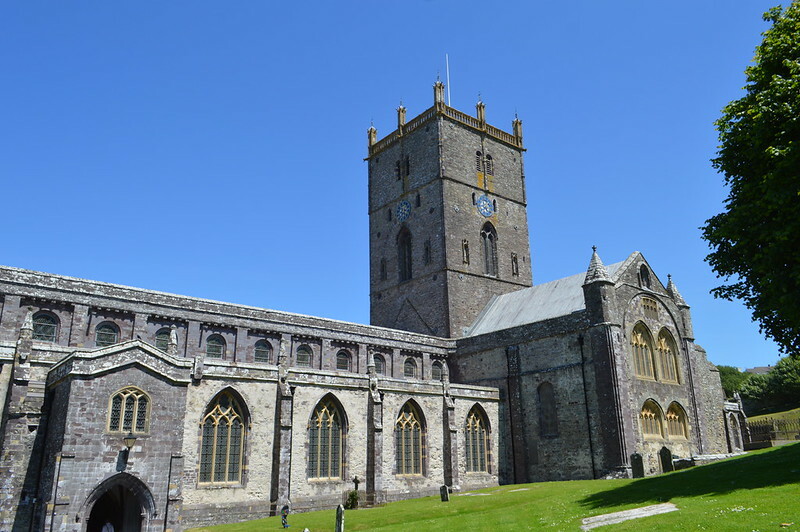 We also visited one of our favourite spots, St David's Cathedral which I have written about previously. 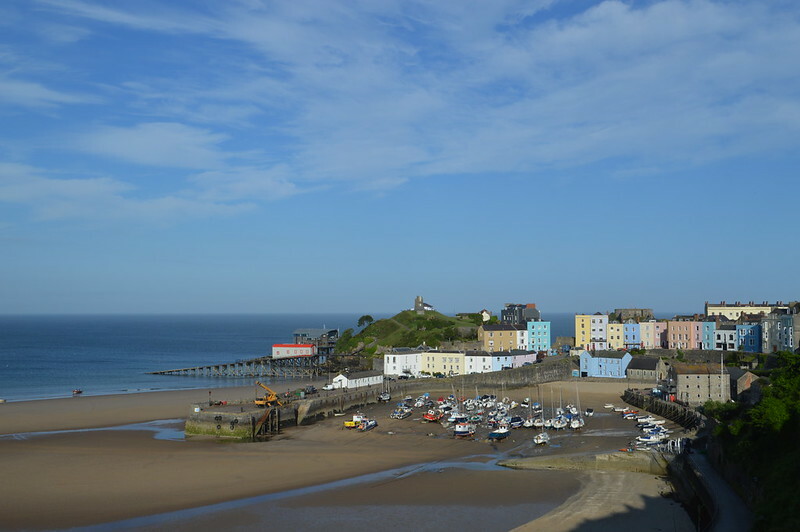 The drive from Tenby to St David's is beautiful and it is worth stopping in the Oriel y Parc Gallery and Visitor Centre. The centre is the gateway to St David's, Britain's smallest city and the coastal National Park. Oriel y Parc houses a Class A Gallery displaying works of art from the National Museum Wales and staff there can help you find accommodation and plan walks in the local area. 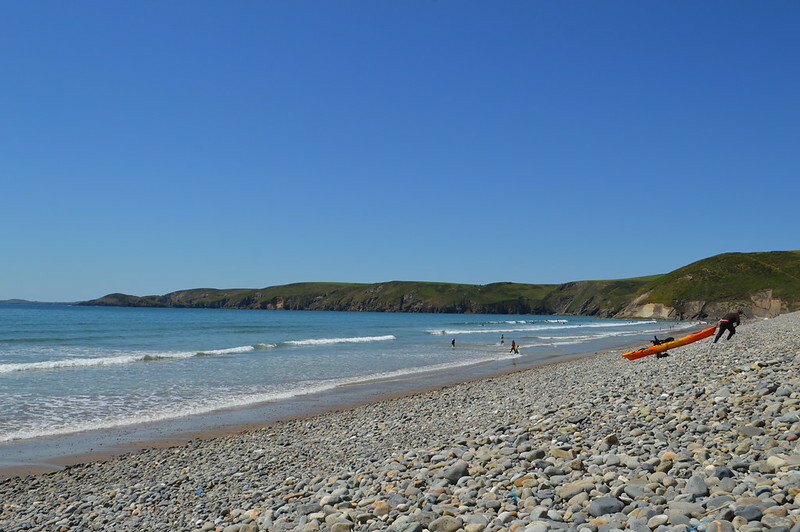 We spent most of our weekend on Newgale beach. We didn't want Coco to be overwhelmed by screaming children and balls flying in all directions so we chose Newgale which is popular with surfers and isn't as crowded. 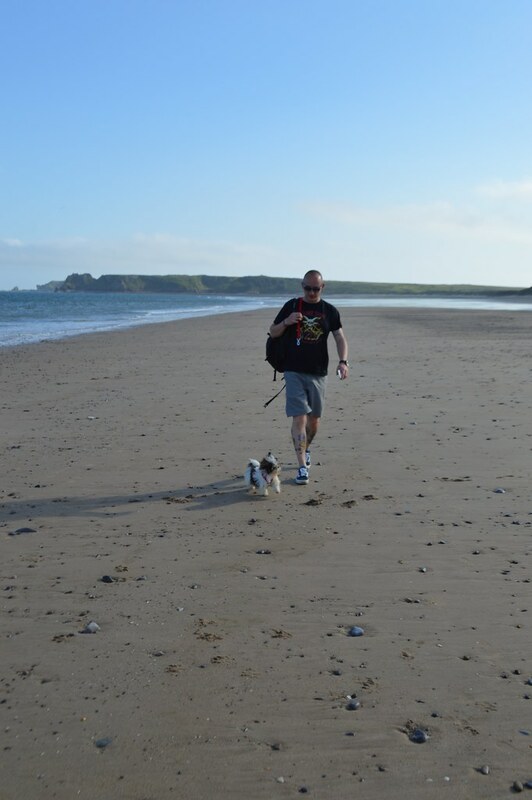 It also has large dog friendly sections and was a little quieter than sandy beaches close to Tenby which can be overrun by tourists. Our weekend break was a perfect chance to get Coco used to being in the car for longer periods of time before we head off on our honeymoon in September. We will be travelling around Scotland in a campervan with Coco which is going to be a lovely family adventure, I can't wait! If you have any dog friendly recommendations for activities and locations in Scotland please leave a comment below - we will be travelling along the North Coast 500. Wales looks like a lot of fun. I hope you guys made some cool memories there. Might add it to my own list of places to visit. What beautiful scenery, it looks like you had a fab time. 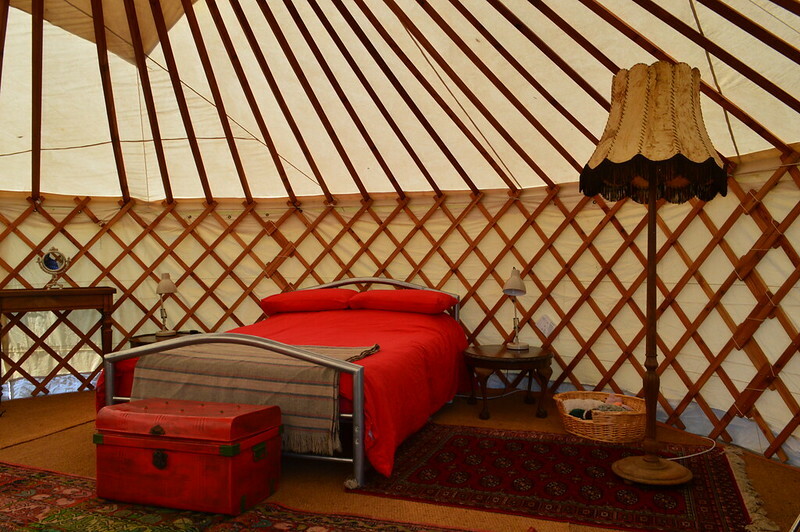 I love the look of the yurt! I noticed they were in Bridget Jones's baby! Please tell me that is a bullet train style yurt?! 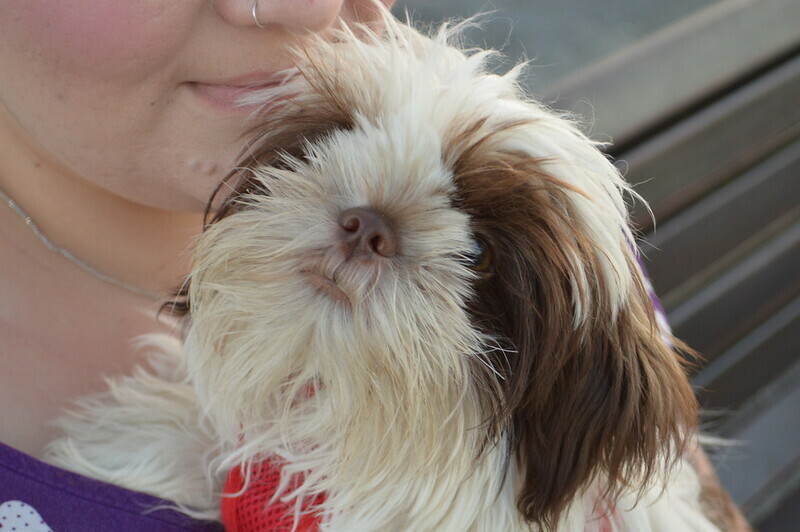 What acute dog and looks like the whole family had fun on holiday.the place looks so nice to visit. Awesome beach. All pictures are lovely. You chose a nice place for a holiday. I love your pictures! I'm in Canada and don't travel anymore so I adore seeing photos of peoples' journeys. Thanks for sharing all of them.